I’ve been joining book giveaway contests left and right now, and until now I haven’t won anything. :( But I guess that’s what happens when good books are up for grabs, everyone gets excited and more people join and…well, hey, most of the time, it’s all about luck. 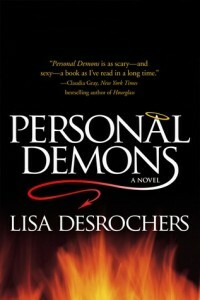 Last Wednesday, my WoW entry was Lisa Desrochers‘ Personal Demons. The first chapter excerpt was awesome and exciting (I am liking Luc already! ), so now I can’t wait. So now I want to win that book. So yay! 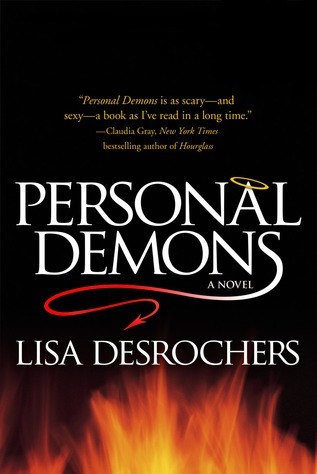 Lisa Desrochers is giving away a signed ARC of Personal Demons (as well as other books) for the month of July! Just leave a comment on this entry before noon July 30 (PST) — a question, a comment, say hi. Frannie Cavanaugh is a good Catholic girl with a bit of a wicked streak. She’s spent years keeping everyone at a distance—even her closest friends—and it seems her senior year will be more of the same…until Luc Cain enrolls in her class. No one knows where he came from, but Frannie can’t seem to stay away from him. What she doesn’t know is that Luc works in Acquisitions—for Hell—and she possesses a unique skill set that has the King of Hell tingling with anticipation. All Luc has to do is get her to sin, and he’s as tempting as they come. Frannie doesn’t stand a chance. Lisa Desrochers has previews of this novel on her blog, and fun — Luc and Frannie are narrating! :) But what about Gabe?